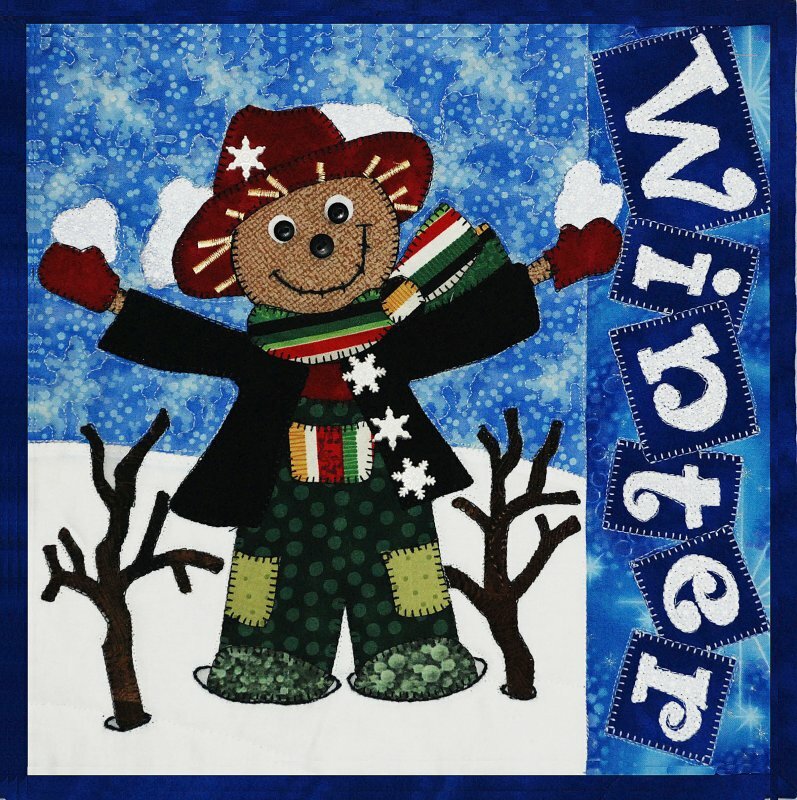 The winter scarecrow is one of four in the scarecrow season series. He is covered in snow with snowflake buttons. 12" X 12" . Great as a stand alone hung on a wire frame or combine with others, add sashing and make a small wallhanging or quilt when combined with the other three seasons.